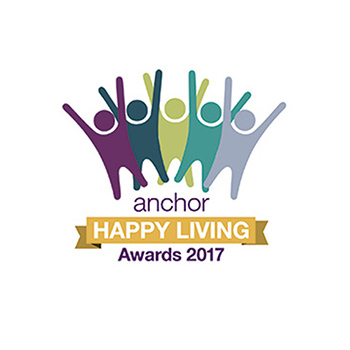 Our Happy Living Awards are designed to recognise customers who make a real difference in their local schemes, estates, care homes and wider communities. We received almost 200 entries for the 2017 awards and were blown away by the amazing people living in our locations. Fred Russell, who lives at Bridgewood Lodge in Heywood, was nominated by fellow tenants for his hard work in the communal gardens. Raymond Martin, who lives at Eagle Lodge in Wanstead, was nominated by Daphne Johnson, for always putting his neighbours needs before his own. June Anderson, who lives at Shafto Court in Newcastle, was nominated by Lindsey Bell, Scheme Manager, for always going the extra mile and helping her community. Peter Baker, who lives at Oakwood Park in East Sussex, was nominated by Penny Blanchard, Estate Manager for setting up an arts and crafts group at the estate. 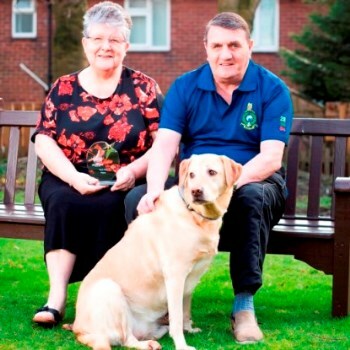 Pippa, who lives at St Aidans House in North Shields, with her owners John and Joan Hall, was nominated by Scheme Manager, Helen Dickie, for being a loving and faithful companion to the couple. Dot and Tam Macdonald, who live at Castle Hall in Hull, were nominated by fellow residents for always putting their grandchildren first.